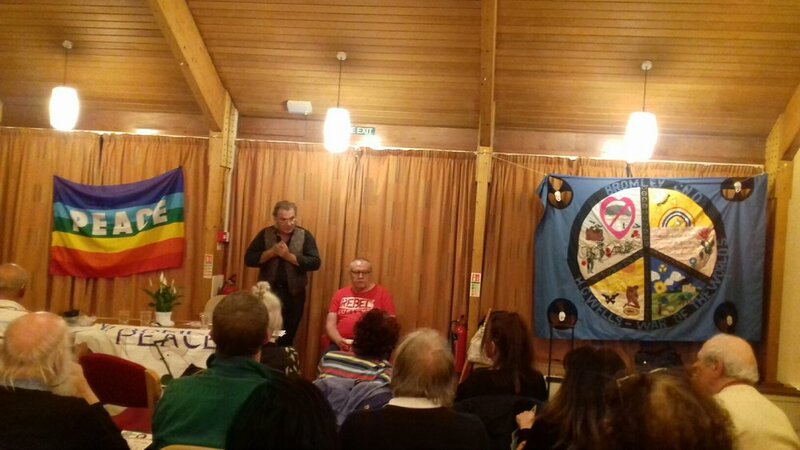 On September 21st 2017, in commemoration of the International Day of Peace Bromley Peace Council held an evening of culture, talks and entertainment. 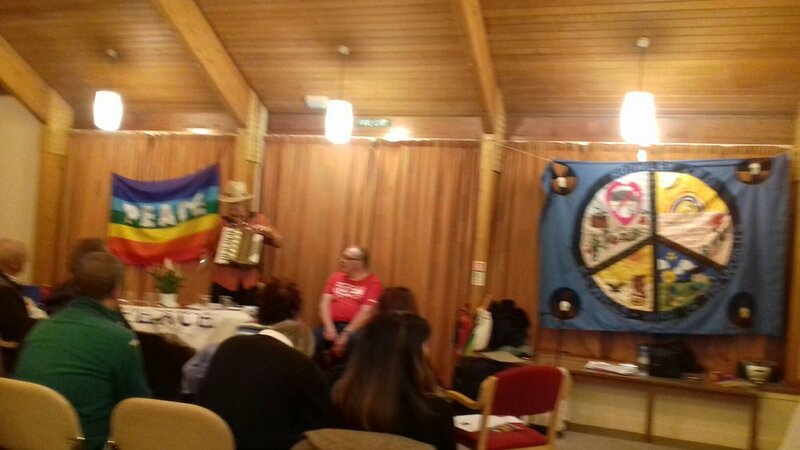 It was such a successful event that they have booked the Bromley Parish Church Rooms lounge for Sept 21st 2018! 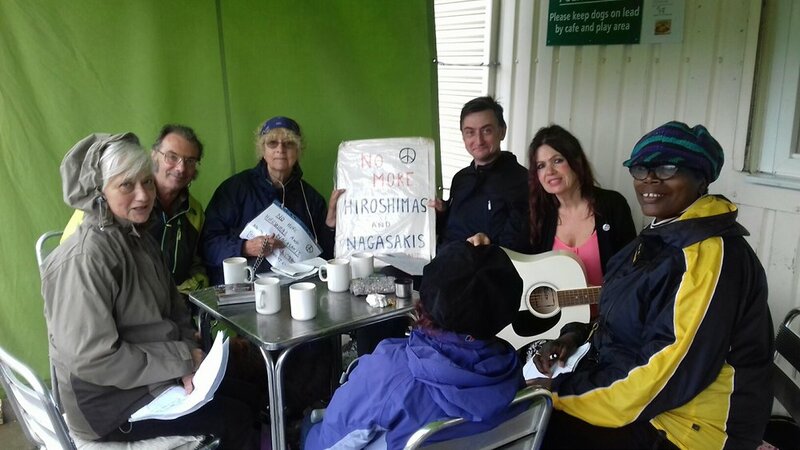 On Wednesday 6th September, Bromley and Beckenham CND participated with the #StopDSEI action at the London arms fair Defence & Security Equipment International (DSEI). 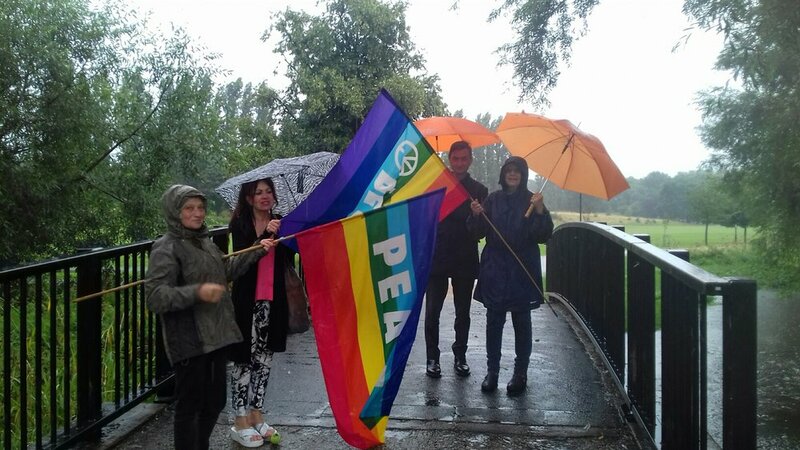 Wednesday was the day of action against nuclear weapons systems and in support of renewables as a replacement. "Several lorries were delayed during'lock downs' at the East and West entrances to Excel, and there were some arrests. This was renewables invest day with several large wind turbines displayed as part of the demo." 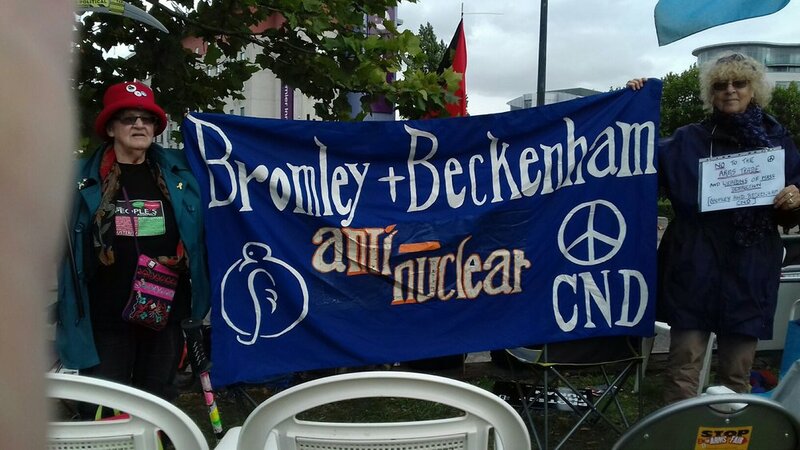 Ann Garrett of Bromley and Beckenham CND reports. “But it isn’t night, it’s the middle of a nice sunny day and how on earth do nuclear weapons make it so?” asked Alice. “Wrong again. Nuclear weapons blot out the sun completely which is why they keep us safe,” said Mad. “No, it’s just nonsense that makes perfect sense. No one dare blot out the sunshine and destroy the earth so they don’t use nuclear bombs and that keeps us safe and the sun shining”, said Mad.